Technology has the power to make a student’s learning experience richer, more productive, and more rewarding. A major goal of the College is to incorporate in-class and out-of-class uses of technology in its curriculum in service to student learning. Learn more about this initiative through the eTech division of the Office of the Dean. We believe that the diversity of a university or a community is a measure of its richness and its resilience. This belief informs our desire for diversity in our faculty and student population and in the perspectives that are part of our academic discourse. More about our commitment to diversity is available from the associate dean for multicultural affairs, who is Dean Olin’s liaison to the College’s Diversity Committee, and our Strategic Diversity Plan.  The College is committed to nurturing and supporting our researchers, scholars, and artists by providing opportunities for professional growth and development and rewarding excellence in research/scholarship, student learning, and service. 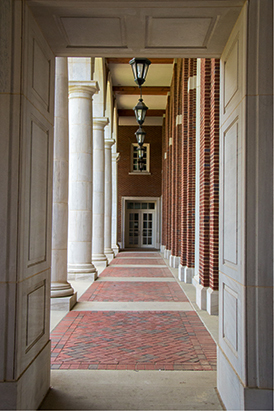 All A&S faculty members have access to a wide array of workshops, seminars, and mentoring opportunities designed to ensure their success at The University of Alabama. We encourage our faculty and students to pursue independent research and creative activities, and we offer them support in those endeavors through scholarships and grants. Students and their faculty mentors may apply for funding through the College’s Undergraduate Creativity and Research Academy (UCRA). Students who receive UCRA funds present their work at the College’s annual Summit for Undergraduate Research, Scholarship, and Creative Activity (URSCA); they are also encouraged to present their work at regional, national, and international conferences. Each year College faculty can apply for funding through our College Academy of Research, Scholarship, and Creative Activity (CARSCA), which supports faculty involved in innovative projects. CARSCA funding recipients present their work at an annual conference held on campus. Our instructional culture acknowledges the varied processes by which students gain knowledge and encourages active involvement in the learning process. Our faculty members seek not to simply deliver information but to expand student understanding through dialog, frequent feedback, and direct involvement in the subject area. Our Active Learning Initiative provides resources—workshops, technology, peer support, and outreach efforts—to help faculty build learning environments that strengthen the capacity of students to gather and synthesize information and develop robust critical thinking skills. Learning communities nurture intellectual and personal development by bringing together individuals with common academic interests and learning objectives. These communities, both residential and coursework-based, foster discovery and leadership, extending learning beyond the classroom as friends and classmates debate, discuss, and explore topics together. Learn more from the A&S Experiential Learning Services office. The College of Arts and Sciences believes that a global perspective is a fundamental element of an undergraduate liberal arts education. We emphasize the importance of global citizenship in all aspects of our enterprise: teaching, research, and service. We were the first UA division to offer University-supervised and -managed semester-long international programs in China and Cuba, and we continue to pursue academic partnerships with universities throughout the world to broaden study and research opportunities for our students and faculty. For more information, visit our International Programs page.